Inconel 600 is a typically engineered metallic material that offers outstanding heat, oxidation and corrosion resistance. The highest service temperature of this super alloy goes up to 2000oF and the lowest goes down to the cryogenic limits. Alloy 600 offers excellent resistance to organic and inorganic compounds, chloride ion stress corrosion cracking and reducing and oxidizing conditions.Chromium content in alloy 600 offers resistance to sulfur compounds. Inconel 600 specialty steel is non-magnetic in nature. It has good mechanical properties at the high and low temperatures. Nickel based super alloys are the best materials for different industrial applications for offering high temperature strength and excellent corrosion resistance. They have good workability and are extremely resistant to the variety of chemicals hence, are suitable for chemical processing units. Further Forms: Inconel 600 wire, Inconel 600 bar and Inconel 600 plate. 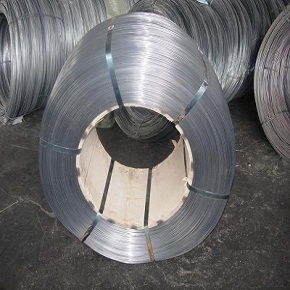 The cold drawn Inconel wire is commonly used in heat treatment fixtures, baskets and trays. In order to ensure that you receive the wires that are fit for your application, we perform the strict quality level tests. Inconel 600 wires are made in flat, square and shaped wire forms. Other Inconel grades available in wire form are- Inconel alloy 601, Inconel 625 and Inconel 718. Inconel 600 bar is made from the high quality raw materials and is designed as per the international standards. Inconel 600 bars and rods can be formed by different cold and hot working procedures. 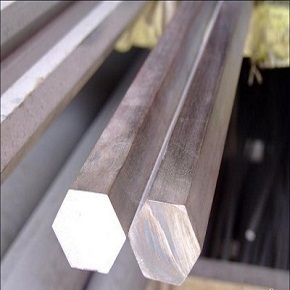 We produce Inconel 600 bars in diameter 3/16 inch – 40 inch and cutting length 1 – 20ft. There are also other wire grades fabricated in the bar forms such as – Hastelloy Alloy C276 Wire – an extremely versatile corrosion resistant alloy . Other Inconel grades available in plate form are- Inconel 601, Inconel 625 and Inconel 718. Aircraft piston engines, exhausts liners, seals, Vacuum furnace accessories, titanium dioxide units, heat processing tanks, muffles, trays, ethylene dichloride crackers, gasoline stabilizer, MgCl2 evaporates, phenol condensers, soap production, superheating devices, steam generator, paper mill and alkaline digesters, high performance sports cars and in manufacturing nuclear reactors. Alloy 600 can be hardened only through cold processing. It is heated up to 1800oF or 982oC for 10 to 15 minutes. Above this limit, even small heating up to 1900oF causes full softening without unnecessary grain development. Because the cooling rate doesn’t influence its softening, the metal can be cooled down by using water or air. Nominal sulfur containing furnace conditions should be applied for forging of Alloy 600. Major hot processing is performed from 1850oF to 2300oF, whilst small processing continues up to 1600oF. Hot processing should not be done between 1200oF to 1600oF because of low ductility of metal in this temperature limit. Alloy 600 can be easily machined in hot processed and annealed forms. Due to production of large amount of heat while machining, it needs high pace steel and cast non-ferrous sharp apparatus. Excellent and efficient results are received by using CVD (chemical vapor deposition) coated carbide tools. It avoids cratering and wear. A small cutting speed where construction occurs, PVD coatings are common. As of its outstanding ductility, alloy 600 produces long and stringy chips. 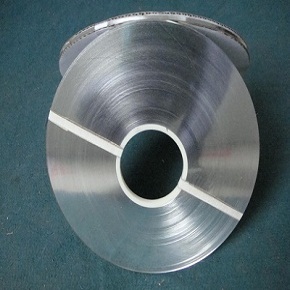 A suitable selection of chip breaker is essential for Inconel 600. If sulfur containing oil lubricants are used, these should be removed completely prior subjecting the metal to high temperature process conditions such as welding. Inconel 600 is fit for ordinary welding, brazing and soldering. Inconel welding electrode 182 for shielded metal arc welding, filler metal 82 for gas tungsten arc and gas metal arc welding, Inconel filler metal 82 and Inco flux 4 submerged arc flux for the submerged arc procedure are preferred.